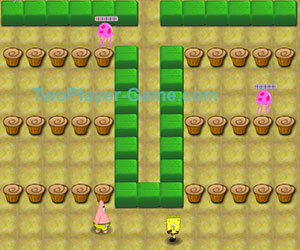 Spongebob Battle, 2 player games, Play Spongebob Battle Game at twoplayer-game.com. Player 1 - W,A,S,D to move. Player 2 Arrow keys to move. Number keys 0 - Shoot.